The theme of the November retreat will be INFLUENCE. If you want to learn how to be an influence for Christ in your marriage, family, home, church, neighborhood, workplace and everywhere else you go, do not miss this retreat! Dates: Nov. 10-11 (We'll have “Man Church" Sunday morning, 10/12, for those who want to stay overnight! No additional charge). For men of any age: Fathers bring your sons. College students, it’s a steal for you! Cost: Only $30 (that covers everything). You can pay here. Only $15 for students!!! Students pay here. Activities: Growing closer to God, developing great friendships with other men, outdoor activities (paintball, a clay pigeon shoot, bring gun & shells if you want to shoot, indoor activities (pool, ping-pong, foosball, etc.) & the famous Man Championship. Location: Arrive at ﻿Cascade Lodge﻿ (see map below) by 7:30 pm Friday, we’ll be done Sunday at lunch. The lodge phone is 970-247-1459 if you get lost. Bring: Sleeping bag, pillow, toiletries, Bible, warm winter clothes, shoes, boots, sports/outdoors equipment and anything else you'll need. Info and registration: Nate at 970-946-9045 or neherbst@hotmail.com or RSVP at christlikemen.com or on Facebook. Activities: In addition to growing closer to God and developing great friendships with other men, we'll have great outdoor activities, weather permitting (paintball, a clay pigeon shoot, bring gun & shells if you want to shoot, snow sports, skiing, etc.) and indoor activities as well (pool, ping-pong, foosball, etc.) and more. We'll also have the Man Championship. 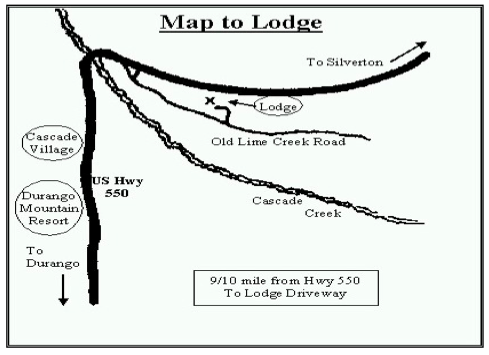 Directions: Follow this map to Cascade Lodge (the lodge number is 970-247-1459).